I have served in the construction industry for the last 30 years of which I spent 16 years working as a supervisor for a brickwork contractor which included projects such as Wembley Stadium, Westfield shopping Centre, Deutsche bank and refurbishment at the Houses of Parliament. I formed my company in 2004 and have worked on various domestic and commercial properties where we have grown to undertake all aspects of construction from the ground works through to the finishing trades. 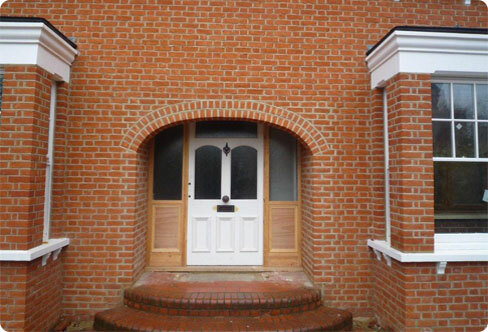 We specialise in every aspect of brickwork which include new builds, extensions, renovations and all styles of pointing on period properties or new builds. In addition we provide a building maintenance service. I am also a qualified lecturer and teach bricklaying and construction at a local College together with being an active member of the guild of bricklayers for the last 7 years.